The main card for World Series of Fighting’s sophomore event has been finalized. 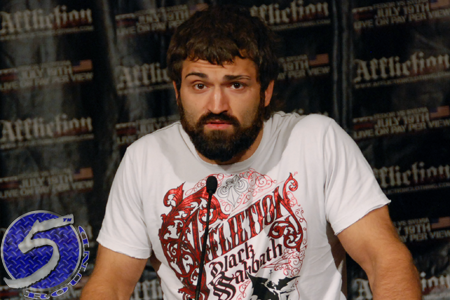 As expected, the night showcases a heavyweight shootout between former UFC stars Andrei Arlovski (Pictured) and Anthony Johnson. Marlon Moraes and Tyson Nam battle to become the promotion’s inaugural bantamweight champion in the co-featured attraction. Revel Resorts & Casino in Atlantic City, New Jersey hosts the March 23th festivities. Josh Burkman vs Aaron Simpson, Paulo Filho vs. Dave Branch and Gesias Cavalcante vs. Justin Gaethje round out the main card. NBC Sports Network broadcasts the five featured fights live beginning at 9:30PM ET/6:30PM PT. Two additional prelims, as well as Danillo Villefort’s opponent, will be announced shortly.